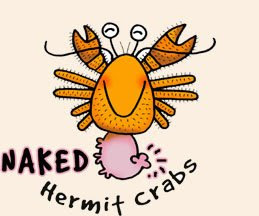 The Lazy Lizard's Tales: The Cross-Island Line: why does it have to go through a Nature Reserve? The Cross-Island Line: why does it have to go through a Nature Reserve? 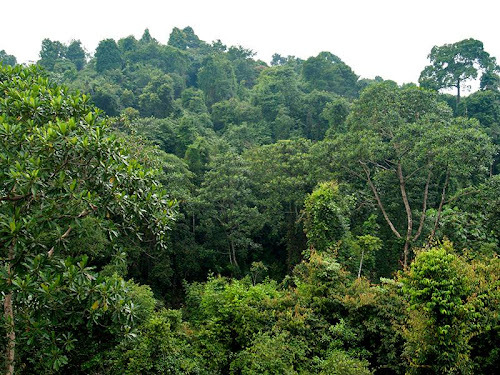 Over the years, Singapore has lost more than 99.5% of its original forest cover. 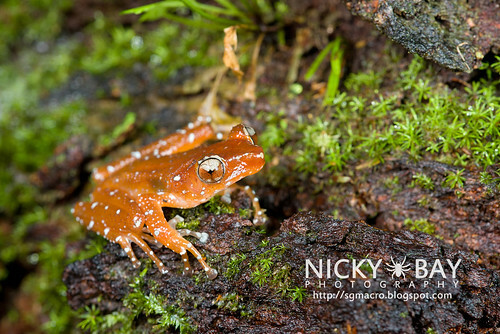 Whatever little that remains is now concentrated in a few key areas, and preserves much of our surviving native rainforest biodiversity. 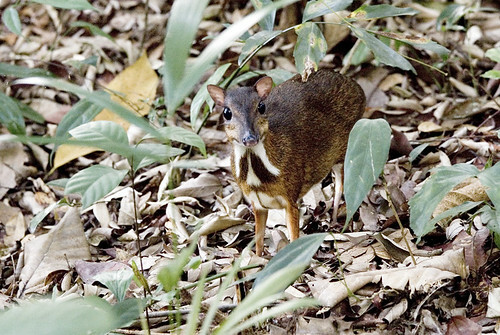 The Central Nature Reserves, encompassing the forests of Bukit Timah and those surrounding the reservoirs in the Central Catchment Area, form the final refuge of many plant and animal species that have since vanished elsewhere on the island. 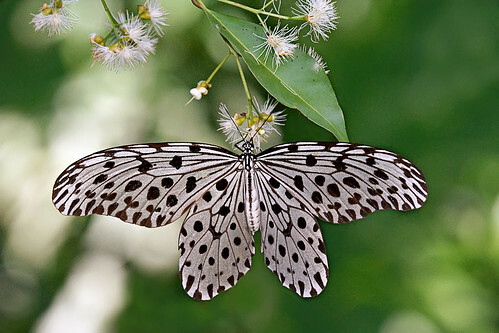 As Nature Reserves, they receive the highest level of protection that any green space in Singapore can have. And yet, as many of us in the nature community found out earlier this year, even being gazetted as a Nature Reserve does not grant immunity from urbanisation and development. In January, the Land Transport Authority (LTA) announced the future expansion of Singapore's rail network, with the creation of two new lines, the Cross Island Line and Jurong Region Line, by 2030. It all sounded very nice, until people realised that according to the maps provided, the Cross Island Line would cut through the southern portion of the Central Catchment Nature Reserve, between Upper and Lower Peirce and MacRitchie Reservoirs. Many people were perturbed about what was seen as a threat to one of our last remaining areas of forest, and a Nature Reserve at that. The Nature Society (Singapore) expressed its concerns about the route of the Cross Island Line back in February, and again in May. Nominated Member of Parliament Faizah Jamal mentioned it in her parliamentary speech opposing the White Paper on Population. This issue was highlighted on Habitatnews. And members of the public wrote in to the press to express their disapproval. 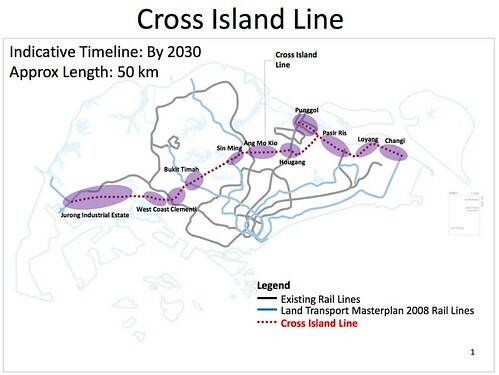 To their credit, LTA has stated that the detailed alignment of the Cross Island Line has not been decided, and that an independent Environmental Impact Assessment (EIA) will be commissioned to assess how the surrounding habitats will be affected by the Cross Island Line. Also, various stakeholders, including nature and environmental groups, will be engaged and consulted to ensure that their views and concerns are accommodated as part of the Environmental Impact Assessment study. 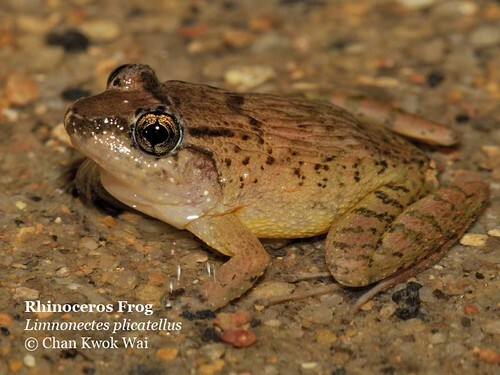 Earlier this month, some of these groups met up with LTA and offered to conduct a study on how different alignments of the line would impact flora and fauna in the Nature Reserve. Before I continue, it's important to define some basic terminology. 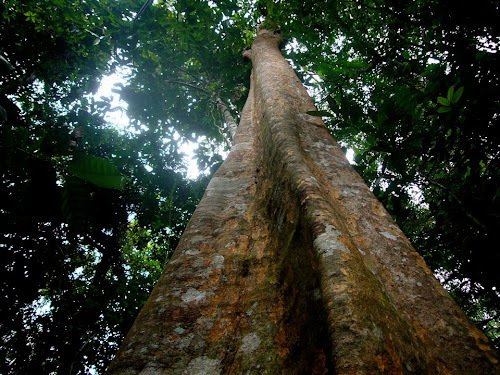 Primary forest refers to forests that have not been cleared in recent history. 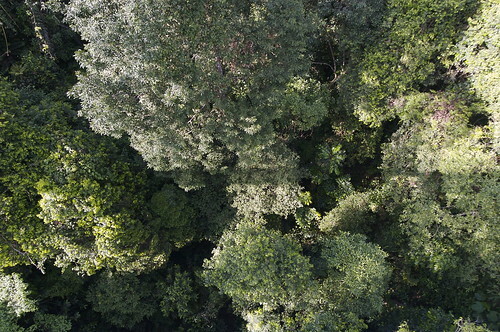 This forest is usually distinguished by the tall trees known as dipterocarps, many of which grow high above the canopy. 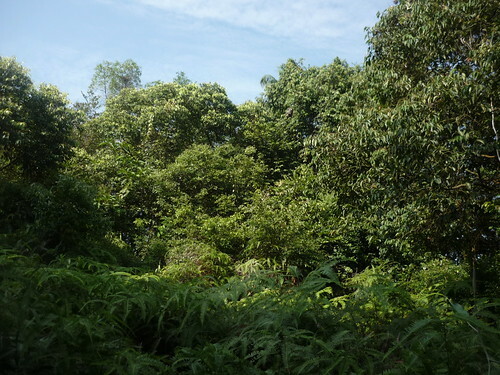 This habitat is now extremely rare in Singapore, being found in parts of Bukit Timah Nature Reserve (BTNR), with small patches in the Central Catchment Nature Reserve (CCNR). Less than 0.5% of the original forest that covered much of Singapore when Raffles landed here still remains. 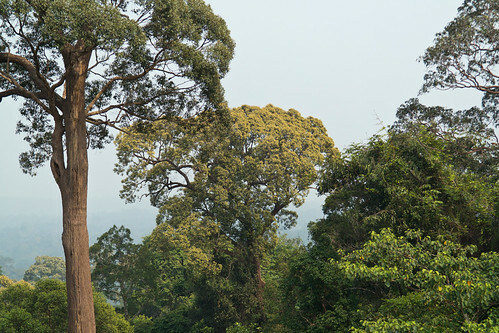 Tall (or mature) secondary forest is the main type of forest found in the Central Catchment Nature Reserve. 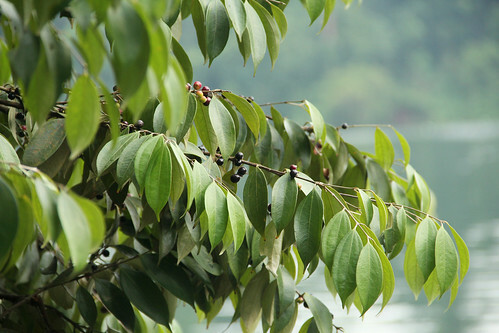 The species of trees growing in this habitat are typically quite different from those that grow in primary forest. Given enough time, and left untouched, tall secondary forest will eventually make the transition into primary forest. 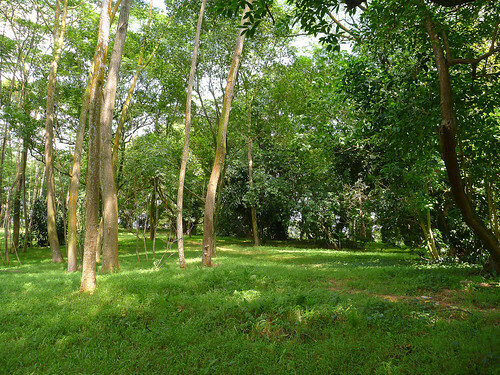 Low secondary forest (or belukar) consists of smaller trees and shrubs, and represents the first stage in forest regeneration. Here you will find plants and animals that are able to tolerate some level of disturbance, including those that live in urban parks and gardens, while those species more dependent on primary or tall secondary forest will be absent or rare. 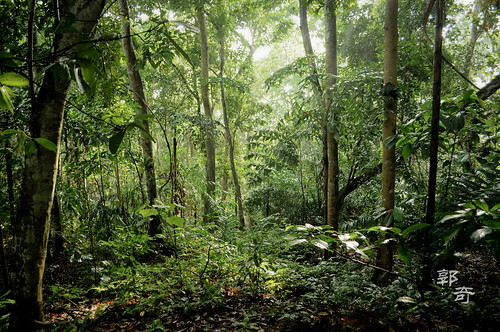 Because of past agricultural activities that resulted in soil degradation and loss of nutrients, some of these patches of low secondary forests feature plants that are able to survive such harsh conditions, as well as naturalised crops that were once cultivated here. 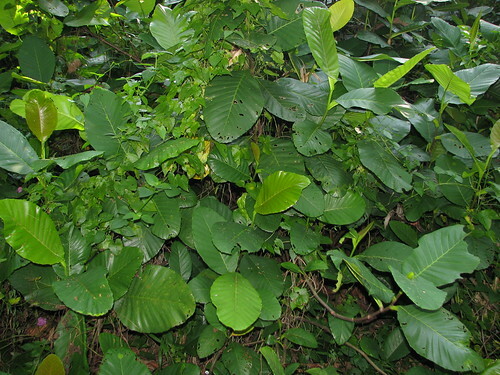 This is the forest type that we find in many other parts of Singapore, such as along the Southern Ridges, in the military training grounds of the Western Catchment, and on Pulau Ubin and Tekong. What is a Nature Reserve? 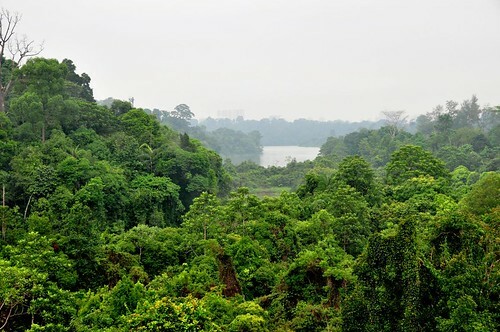 Singapore has many green spaces, but only four areas are gazetted as Nature Reserves: Bukit Timah, Central Catchment, Labrador, and Sungei Buloh. 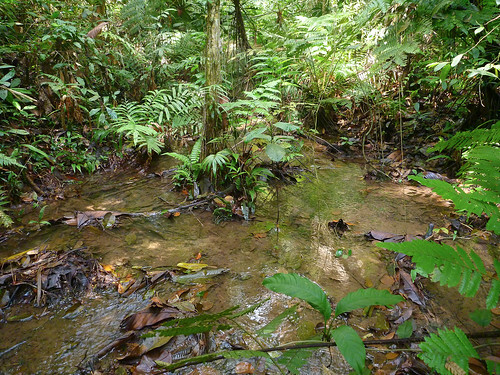 The Central Catchment Nature Reserve is the largest, and retains the most significant continuous patch of rainforest here. Nature Reserves are protected under the Parks and Trees Act, and you can read the details regarding what can or cannot be done in Nature Reserves. Here are some bits worth noting. (d) recreational and educational use by the public. (e) wilfully drop or deposit any dirt, sand, earth, gravel, clay, loam, manure, refuse, sawdust, shavings, stone, straw or any other matter or thing from outside the national park or nature reserve. (2) No person shall carry out any activity within any national park or nature reserve which he knows or ought reasonably to know causes or may cause alteration, damage or destruction to any property, tree or plant within the national park or nature reserve. 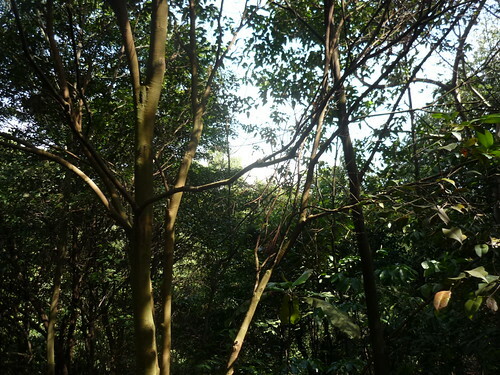 The Cross Island Line will cut through an area of Central Catchment Nature Reserve which comprises tall secondary forest as well as small patches of primary forest. 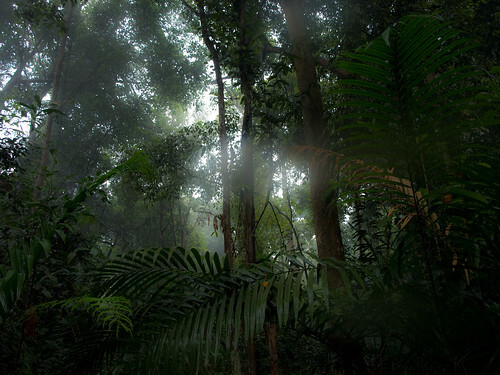 Many of our threatened and endangered native mammals, birds, reptiles and amphibians live in these forests. 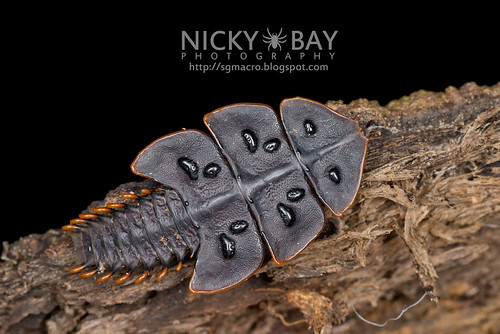 Not to mention a staggering diversity of insects, arachnids, molluscs, and other invertebrates that rely on mature forests for survival. Any form of large-scale disturbance is likely to have adverse impacts on the species in the affected areas. 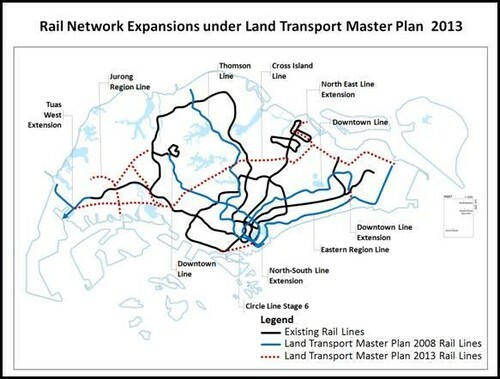 According to the map, any work for the Cross Island Line will effectively bisect the Central Catchment Nature Reserve. Our remaining forests are already isolated to some degree, and further fragmentation is likely to exacerbate edge effects. 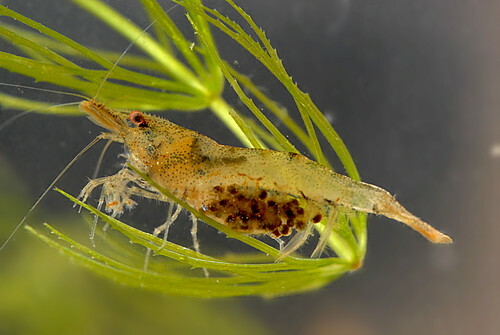 Some of these possible consequences include drying out and loss of humidity, and increased susceptibility to establishment of invasive species. 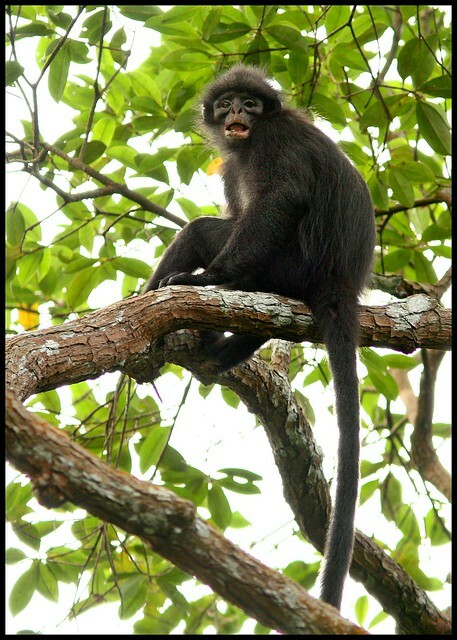 For many forest-adapted species, fleeing into nearby areas of low secondary forests or suburban gardens, which do not possess the right environmental conditions for them to survive, will not be an option. 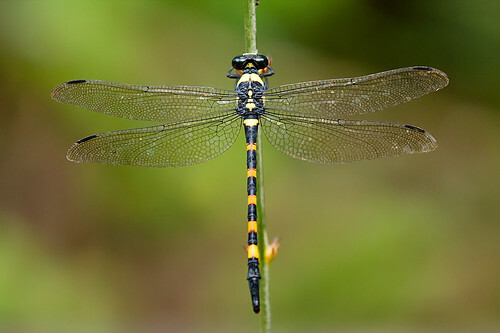 The proposed alignment of the Cross Island Line will also affect an area with many forest streams, home to native freshwater fishes and other aquatic life, such as amphibians, crustaceans, and dragonflies. A selection of native freshwater fishes found in forest streams of the Central Catchment Nature Reserve. 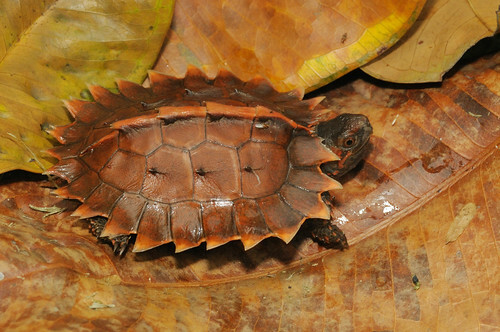 Many of these species are not found anywhere else in Singapore, having disappeared as a result of deforestation that buried and choked waterways, conversion of natural streams into concrete drains, and competition and predation from non-native aquatic animals introduced by humans, such as red-eared sliders (Trachemys scripta elegans) from the United States of America, guppies (Poecilia reticulata) from South America, and tilapia (Oreochromis spp.) from Africa. 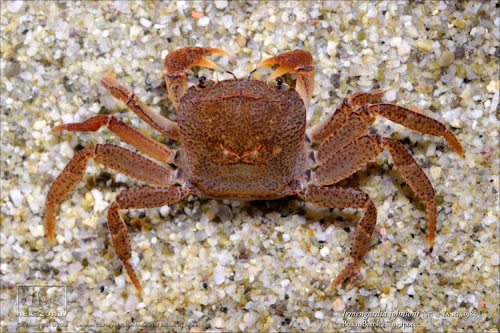 For the endemic Johnson's freshwater crab (Irmengardia johnsoni), found only in Singapore (and nowhere else in the world! 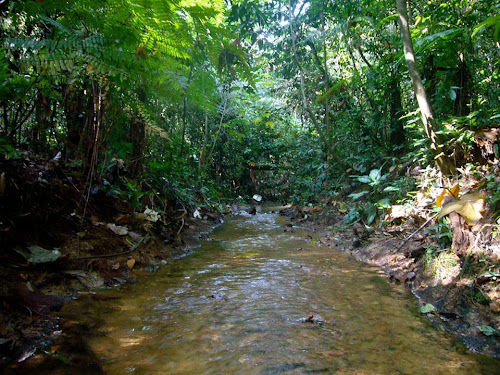 ), these streams in the Central Catchment Nature Reserve represent critical habitat. 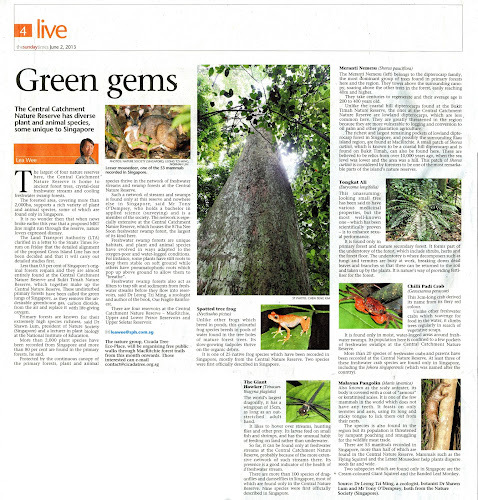 The Straits Times recently did a feature article on some of the biodiversity found in these forests. What are the possible impacts? What sort of forest is in the area? Is it former plantations, old secondary or primary forests? What sort of animal life uses these areas? Which specific parts would have to be cleared for construction and for maintenance? What impact does the construction of an underground MRT line have above ground? Will underground drilling affect the hydrology of the surrounding area? How will underground aquifers be affected and will headwaters of our delicate freshwater stream ecosystems be affected? Will the effects underground tunnelling be expressed downstream in any way? After construction, what impact would be forest be subjected to for tunnel maintenance? What have we learnt about impact to geography, hydrology and geology from the construction of other MRT lines? Even though it's been suggested that the Cross Island Line will run beneath the Nature Reserve, the forest will still be severely affected in such a scenario. Before construction work on the line begins, soil investigation works and feasibility studies need to be carried out. According to this article, soil investigation requires boring holes into the ground that are 70 metres deep, at intervals of 15 to 20 metres along the expected train line (emphasis mine). I don't know the exact details regarding such a procedure, but I'm worried about the possible impacts on a sensitive area of forest. Will there be trampling by the engineers and equipment? Does this mean that some areas of forest will have to be cleared so that access roads can be built, or cables and pipes laid to supply water and electricity? While the drilling is taking place, what are the risks that this might affect the water table, or result in pollution of the soil and forest streams? With soil being exposed, will this lead to erosion and surface runoff that contaminates the forest streams or even the reservoirs? It seems like the soil investigation works alone may have a considerable impact on the forest, even before the line is built. If work on the line goes ahead, and tunnelling works commence beneath the forest, I wonder how all the manpower and machinery for such a project is going to be brought in. Once again, will there be a need to construct access roads? Will tunnelling be done as a single unbroken stretch, or will there be passageways to the surface along the way? Once the line has been built, will there be a need to erect infrastructure for power, service and maintenance lines, ventilation and emergency shafts, and more? 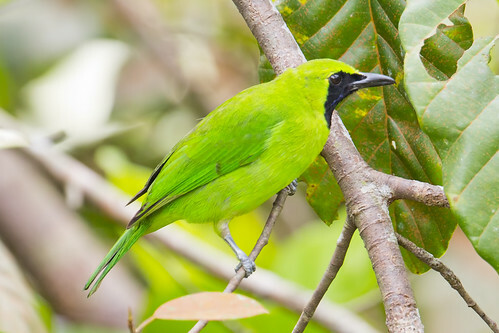 For decades, nature lovers in Singapore had the impression that while the future of many green spaces was uncertain, Nature Reserves were all but immune to such threats. Getting Labrador and Sungei Buloh gazetted as Nature Reserves in 2002 was considered a major victory for conservation, and I'm sure many of us feel that while the loss of places like Bukit Brown is tragic in some ways, in terms of biodiversity, such areas simply pale in comparison to what is found in the Central Nature Reserves. But if these forests can supposedly be sacrificed in the name of building an MRT line, what sort of message does this send? Have we been overstating the importance of these areas' status as Nature Reserves? Are they really protected from development, as we've been led to believe? I personally think that it sets a very dangerous precedent; if Nature Reserves are supposedly inviolate, but portions can still be sacrificed in the name of the greater good, does that imply that future development projects can simply carve out more parcels of Nature Reserve in the name of economics and expediency? Does this mean that we've truly reached the point where we are in such desperate need of land that areas of Nature Reserve can be de-gazetted or excised if needed for other purposes? In particular, we assure the public that some of the scenarios that have been raised, such as the need or intention to clear large tracts of forest in the nature reserves, or the possibility of there being major construction works within the nature reserves, are not being contemplated. My point of view is that we shouldn't even be contemplating carrying out any sort of construction work for an MRT line (or any other development project, for that matter) within the Nature Reserve boundaries. Some people might think that it's okay if you dig up the trees and plant them elsewhere, say in a garden. After all, trees are transplanted all the time. But such an idea fails to take into account the fact that only trees below a certain size can be safely removed and transported, not to mention that a forest is more than just a bunch of trees - it's the sum of countless interactions between abiotic and biotic factors, where soil, sunlight, air, rain, groundwater, plants, animals, fungi, and bacteria influence and are influenced by one another. You can relocate every single tree, yet still obliterate everything else that made these trees part of a forest. I'm encouraged that LTA has been listening to the nature groups with the expertise in carrying out the studies, and is delaying all works, including its own Environmental Impact Assessment, until the results are published. All the same, I still think that having the Cross Island run through/beneath the forest is a bad idea, simply because there is just so much potential for the habitats it contains to be severely affected if work proceeds. Even if we receive all the assurances that work will be done in a sensitive manner to minimise impacts on the natural environment, will it really be more worthwhile than simply rerouting the line around the Nature Reserve and avoiding this whole mess? 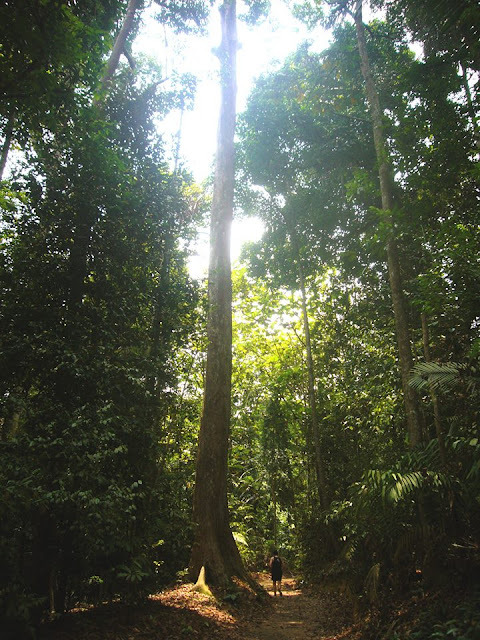 We sometimes seem eager to make amends and restore some of the damage wrought by past development, such as the Eco-Link, which attempts to reconnect two forests that had been separated since 1986, when the Bukit Timah Expressway was completed, effectively cutting Bukit Timah off from the Central Catchment Area. In the case of the Cross Island Line, doesn't it simply make much more sense to just not build the MRT line within the Nature Reserve, rather than take the risks and build it, then spend more money to rehabilitate and reverse any damage done to the forests in an attempt to mollify and placate the people? I'm hopeful that it's possible to reroute the Cross Island Line around the Nature Reserve, while still taking into account that any construction work close to the forest has to be carried out with utmost care and sensitivity. Our forests are already facing assaults on several fronts, and I don't think they deserve yet another threat like this. 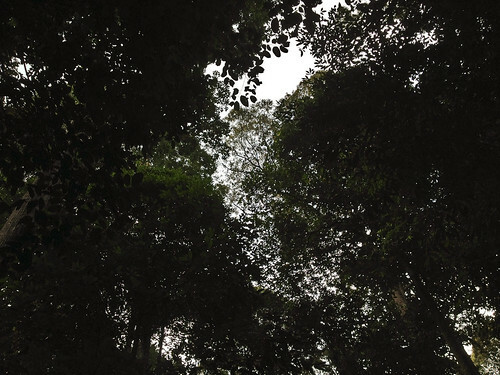 "Millions are being spent on the Eco-Link as a mitigation solution to forest fragmentation, now there is a proposal to seriously fragment the southern MacRitchie forest from the rest of the Nature Reserve through soil investigation. This does not compute." "Our position is very simple. Nature Reserves are for the conservation of native flora and fauna and they are not for the purpose of infrastructure. 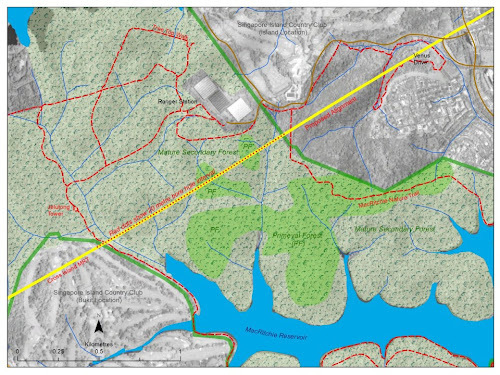 We want the line to go around the nature reserves to the south. At an average speed of 30 km an hour, that would represent an extra four minutes of travel time. We don't think that's too much to ask to save our natural heritage." 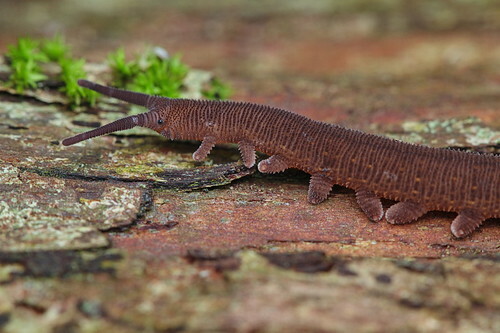 "We need to think twice before even entertaining the notion of digging a railway tunnel underneath an area that has already been gazetted a Nature Reserve and that plays host to an astounding variety of organisms, some of which we haven't even discovered yet. 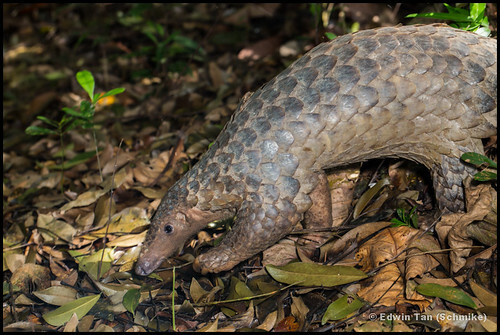 The plants and animals that live here are all part of our natural heritage - as much important to our national identity as our sociocultural traditions are as well - and this is why we are responsible for their protection and conservation." "Sustainable Development - "The Singapore Way" proudly states, "We pursue growth and a good environment together, not one at the expense of the other. We need economic growth to provide good jobs for our people and to give us the means to build a liveable city. Yet we do not pursue this growth at all costs. We also put in place stringent environmental regulations in a process to plan and manage land use to guide our development." 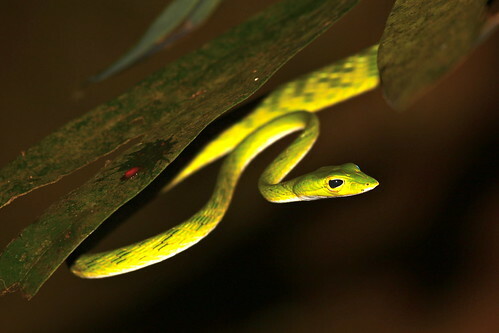 One of its key principles is to 'retain Singapore's natural heritage by safeguarding Nature Reserves and Nature Areas'. All well and good. The Land Transport Authority, in response to public concerns about the Central Catchment Nature Reserve, reassuringly said that "all efforts will be taken to minimise impact to the environment". But it seems to me that the work requires moving in lots of men and heavy equipment (to the LTA, that's 'minimal' impact). Vegetation will have to be cleared ('minimal' impact). Noise and dust will be generated ('minimal' impact). Streams of clear running water may be lost forever ('minimal' impact). Animals and plant life will be disturbed ( 'minimal' impact). And of course, the public will have no access when work is being done ('minimal period' only for sure). How does all that square with the 'safeguarding Nature Reserves and Nature Areas' principle?" 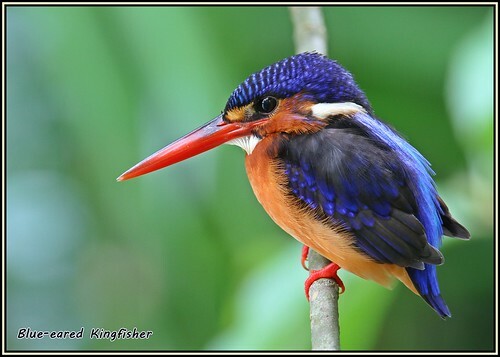 "Each time I go away and return to Singapore, I long for our nature reserves. I feel a proud sense of stewardship. I am not a botanist or zoologist, but I marvel at what exists on such a tiny island. I see people withdraw from the crowds in the urban areas and visibly relax in an environment that alleviates stress. I take foreign visitors to these places. I always emphasize this to them: what we lack in size, we more than make up for in the sheer diversity of species that our natural environment, the primeval and old secondary growth forests support. The Cross Island Line and other urban development plans are worrying because they send the message that we need not care about stewardship and responsibility. It also sends the message that these spaces which enable us to slow down, to feel some sense of humility before the wonders of the natural world, are dispensable." 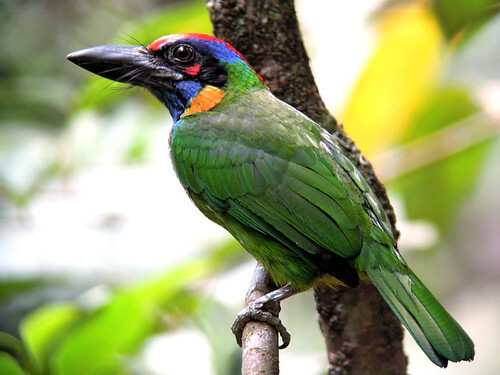 "At stake is a national treasure trove of biodiversity - a verdant stretch of primary, secondary and young forest that supports many native plants and trees, and is home to insects, animals, birds and fishes. Water from natural sources there drains into the surrounding reservoirs. 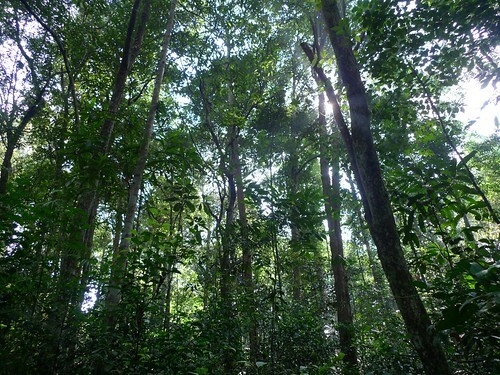 The vast catchment forest also acts as a green lung in the central part of our island, providing clean air and counteracting the greenhouse effect. Even if the rail system runs underground, much construction work will have to be done on the surface, such as providing access to transportation and building site offices. Large tracts of forest would have to be cleared. This means erosion, pollution, noise and a whole host of other ill effects. One wonders how an Environmental Impact Assessment can have anything positive to say about such a venture. That such a proposal came to pass throws into question the claims by the Government of its commitment to protect the environment. It seems that even a gazetted Nature Reserve is no longer protected. There should not be soft or easy options, and certainly not explanations such as "this is the most direct and shortest route across"." "I especially note with concern the potential disappearance of natural spaces with regards the 50 km Cross Island Line (CRL). 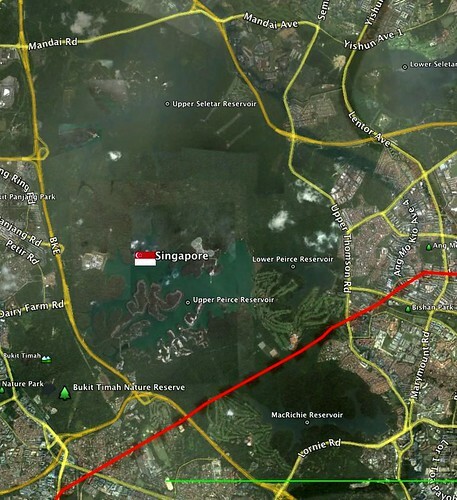 This line begins in Changi and moves westwards through Loyang, Pasir Ris, Hougang. Ang Mo Kio, Sin Ming and through the Central Catchment Nature Reserve to Bukit Timah, Clementi, West Coast and Jurong Industrial Estate. The fact that it goes through the Central Catchment Nature Reserve , and I emphasise the term 'Nature Reserve' , is a serious concern. 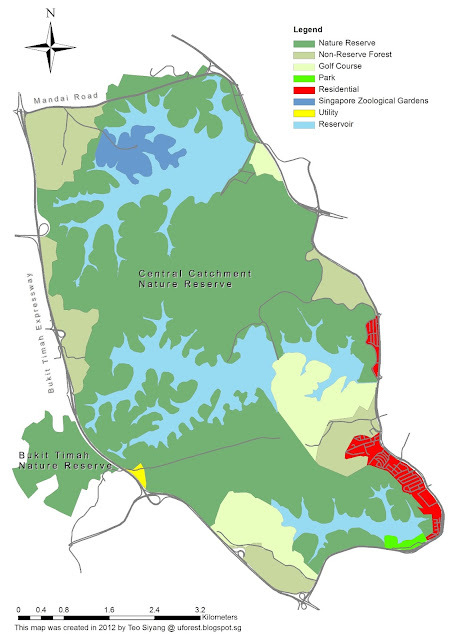 This reserve encloses four large reservoirs – MacRitchie in the south, Upper Peirce and Lower Peirce in the central, west and east, and Upper Seletar in the north. 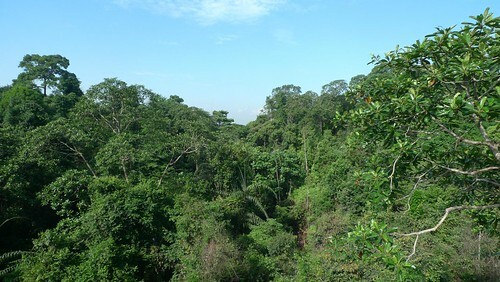 In these areas are the oldest patches and some of the least affected forests, the green lungs of Singapore. 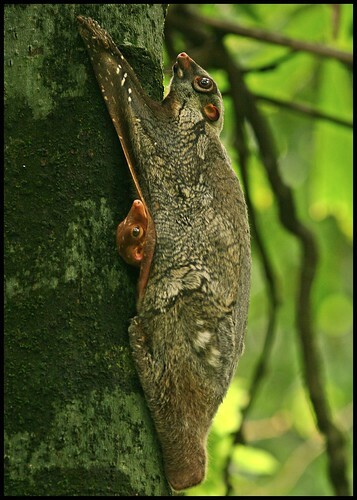 In these areas also are some rare and endemic species, found not only nowhere else in Singapore but nowhere else in the world. Not for nothing are they given a 'nature reserve' status. And yet the CRL proposes to cut through these precious forests. Perhaps because they do not seemingly contribute to GDP growth? When we were fighting to save Bukit Brown last year, we were told then that we are making too much fuss because it is not as if Bukit Brown is a forest to begin with, and it's not that bad because it is not as if it affects the Nature Reserve. So a very pertinent and more fundamental question now is, how did the government agencies involved justify the encroachment on the Central Catchment Nature Reserve now, on what is supposed to be areas that are inviolate? Or is nothing inviolate anymore?" 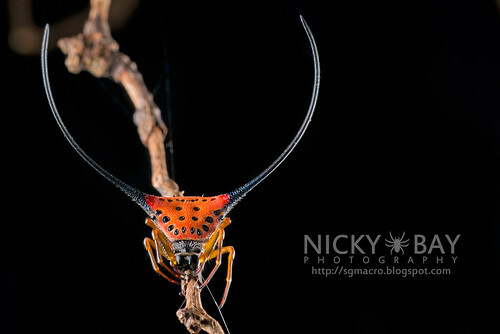 Explorations and sightings of Singapore's rich biodiversity, random musings on ecology and biology, and a message for people to open their eyes to the beauty around them. Vote for me in the Singapore Blog Awards 2013!